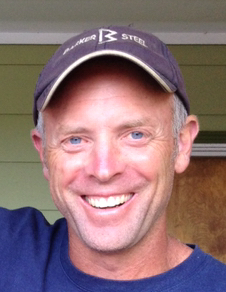 Shelburne- The world lost a gem on February 19, 2019 when Steven C. Jenks, affectionally known as “Jenksy” , 48, lost his life while doing one of the many things he loved to do, out snowmobiling with friends. He was deeply loved and will forever be missed. Steve was born in Greenfield on March 7, 1970 the son of Sanford “Sandy” and Kathleen (Truesdell) Jenks. He graduated from Mohawk Trail Regional High School, class of 1988. He has lived in Shelburne his entire life. A carpenter by trade, Steve began his career working for Carlton “Red” Roberts learning the skills and talents that would bring him great joy later in life. He moved on to become a carpenter for Yankee Candle doing many of the projects around the headquarters in South Deerfield as well as their retail stores. He then moved on to start his own business as a very well-respected builder. With love, he built the house his family lives in now. While he was proud of his work and accomplishments, it was his family that brought him the greatest love and pride. He was married to the love of his life, Rae Ann Romero, on May 28, 2005. Family and friends say they were the perfect match in every way imaginable. Every day was like their wedding day and their love for each other was pure and unconditional. It was obvious to all who saw them together - they were truly meant to be. They cherished their time together - whether on the couch watching a movie, listening to music and singing their favorite duets or enjoying a margarita on what Steve called “Thirsty Thursday”. It was a love like no other - the best of friends. They instilled this love into their three children, their daughter Lily and their two sons, Tanner and Wesley. Friday nights were Family Night in the Jenks house – often dinner & a movie all snuggled up on the couches. He was the proud Dad taking his kids to basketball, Cub Scouts, softball, and helping to coach the baseball team. Steve was always fixing and tinkering with their dirt bikes, snowmobiles, and toys of any kind so he could share his love for the outdoors with his children. In recent years they began tapping trees and boiling sap as he wanted to pass this skill onto his children as well. Family road trips were also a favorite – sometimes headed to nowhere in particular, but just packing up and enjoying the ride together. So much of his youth was spent on farms and in the woods – always outdoors either working hard or playing hard. Many summers were spent at a family friend’s camp in Maine which later became the Jenks family camp, “Camp Wahmba”. Steve was proud to share this slice of heaven with his own kids so they could experience the same outdoor fun that he had. In the Fall, he would return there with his buddies for hunting season. Steve had a great love of music, and could name almost any song and artist by hearing just a few notes. It was admirable to all as they would try desperately to name them first! He was a good cook, a great story teller, and simply an amazing person to be around. He was famous for his tight, genuine bear hugs which will be greatly missed by all who were lucky enough to experience them. Steve was also a well-loved neighbor to his friends ‘up in the Patten’. Sunday Night Suppers were the highlight of the week where they gathered as friends at each other’s homes for dinner and to catch up on the latest news and solve the world’s problems. Steve was a founding member of the River Valley Christian Church in East Colrain. Although small in size and congregation, Steve believed in its mission and supported the church in every way he could. He will be missed by many, especially those closest to him including his immediate family: wife Rae Ann, daughter Lily, sons Tanner and Wesley, his mother Kathleen Jenks, brother Tom Jenks and his wife Sue, sister Terri Mitchell and her husband Rob. Also, his mother-in-law Rita Romero-Demetriou, brother-in-law Bob Opsitnick and his wife Anna, sister-in-law Johna Lemoine and her husband Ray, sister-in-law Deb Randall and her husband Scott, as well as nieces and nephews whom he cherished as his own; Kyle and Laura Mitchell, Megan Jenks, Kelly and Lisa Randall, Jonathan Carrington, Dani Orihood, Kirsten Jones, Robert Opsitnick and Jenna Rae Senofonte. Last, Steve will also be missed by some very close friends that grew into family, his best friend, Brad Bardwell, Andrea Stoltzfus, Nikki Richard, and his “other” parents Launie and Tony York. Steve was predeceased by his father Sanford Jenks and his childhood best friend Eric York. Visiting hours will be Sunday, Feb. 24 from 1 to 4 pm at the Smith-Kelleher Funeral Home, 40 Church St., Shelburne Falls. A memorial service will be held Monday at 11:00 am at the River Valley Christian Church, 345 West Leyden Road, Colrain, MA. Space will be limited due to the small size of the church. Those who feel led should feel free to attend knowing that seating will be limited. All are welcome to join the family at the Eagles in Shelburne Falls following the service.